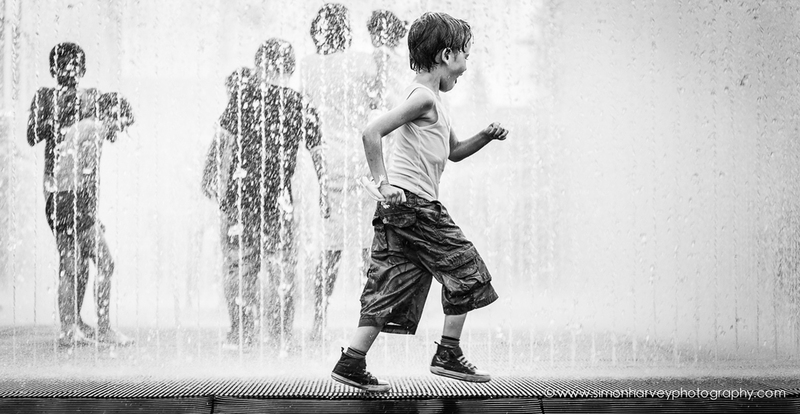 Simon Harvey Photography - Blog and News Updates. For this shoot I needed warm sunlight so the images will sit nicely with other shots produced by Community Playthings American counterparts - shot in Florida. Although we are in July, this is Great Britain we are talking about... I needed guaranteed good light!? So I hired x2 of the new Elinchrom ELB400 Quadras (from the lovely people at The Flash Centre - London) along with a couple of 'California Sunbounce' reflectors to work alongside my own x2 Quadras. I have always loved the Quadras... small, light, powerful enough to balance in daylight. As you can see from the set-up shot, they provide a lovely kick of light to the background foliage as well as giving the kids a 'rim' light to make them stand out a tad more! What a weekend.... at last a scorcher!! 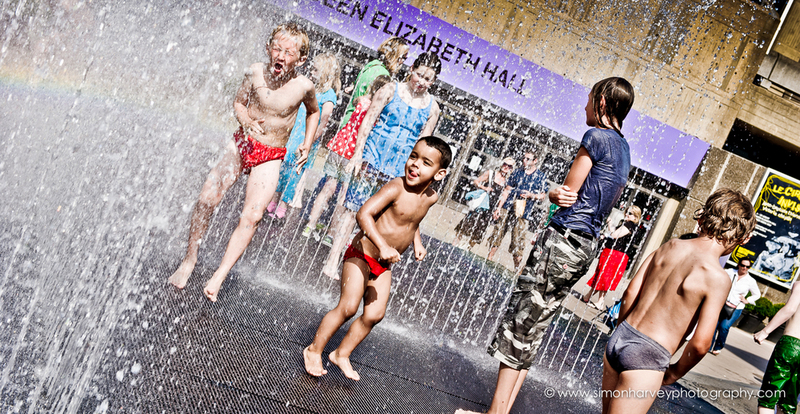 What better way to enjoy it than being a kid in the fountains on the wonderful London Southbank @southbanklondon ! Hope these street photography candid shots I took take you all back to this wonderful time of life .... Enjoy! Sign up with your email address to receive news and updates from Simon Harvey Photography.